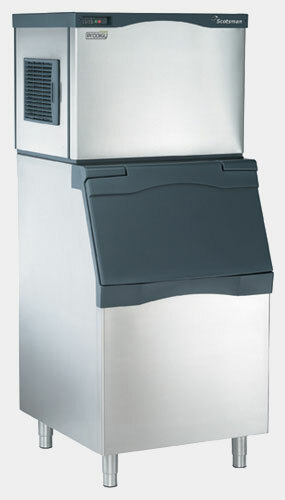 As the only self-monitoring ice machine with front-located AutoAlert™external indicator lights, the new Scotsman Prodigy™ Cuber constantly communicates information about its operating status and actually signals your staff when it’s time to perform normal maintenance or time to call for service BEFORE it’s an emergency. That makes upkeep practically foolproof. And with Scotsman’s unique accelerated harvest assist feature that pushes ice off the evaporator plate, this next-generation cuber uses significantly less energy and water than traditional ice machines, making it among the first cubers to exceed both the 2008 California Energy Commission and 2010 Federal energy efficiency regulations by up to 22%.When you consider its wide range of other performance features, there’s simply no smarter, more reliable way to create fresh-tasting ice. You will need Adobe Acrobat Reader to view these PDF files. If you do not have it, you can download it here. Icemakers has a knowledgeable staff of experienced sales, technical and service personnel that can assist with any of your needs regarding ice machines and other equipment for schools and educational facilities.